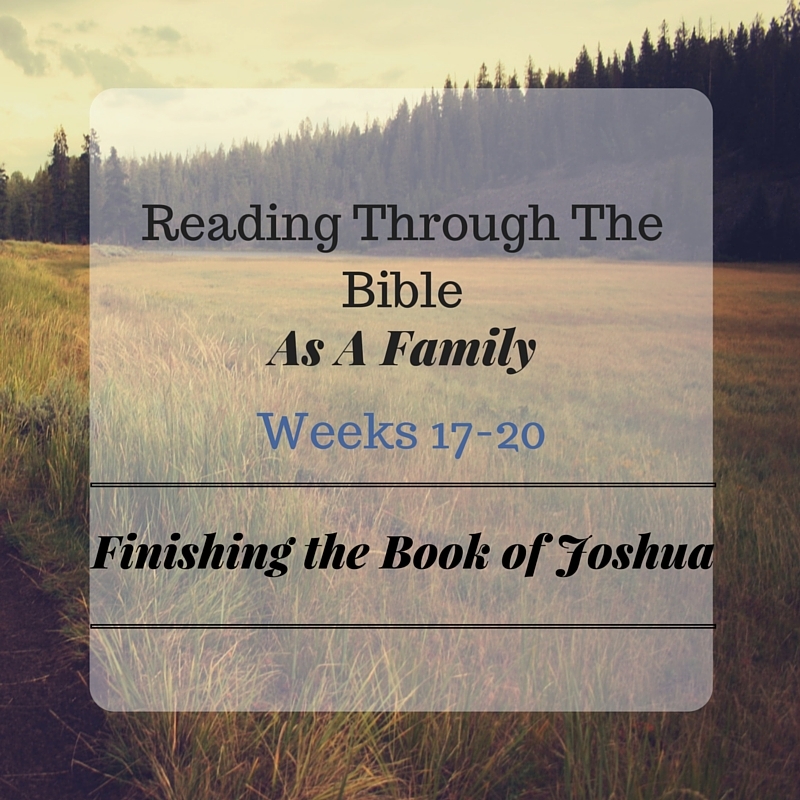 The past four weeks we have been reading the book of Joshua. I have to admit, we have missed a few family reading nights because life gives us unexpected happenings. That is the only reason why it took us so long to get through this book. After 20 weeks or so of reading through the Bible as a family, it feels so wrong to miss one night. 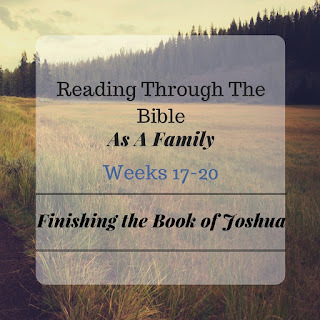 The book of Joshua was a lot of dividing up of land. If we had read this while having a large map out and a chart of all the tribes, it would have been so much easier to keep track. We had to keep going back and reviewing why their was only half of a tribe on this side of the Jordan, or which tribe inherited what land. In my opinion, the last two chapters were the best. We will press on though! I want to encourage you to setup a daily family devotion time if you do not currently have one. Our family has decided to read through the entire Bible together. We do not know really when we will finish, but I feel we all have gained so much already through the reading we have done. You don't have to wait until the beginning of the year. You don't even have to find the perfect Bible or reading plan. Just start at the beginning and read. It really is that simple!